There is no single factor that accounts for the powerful appeal of the Roy Rogers concept. 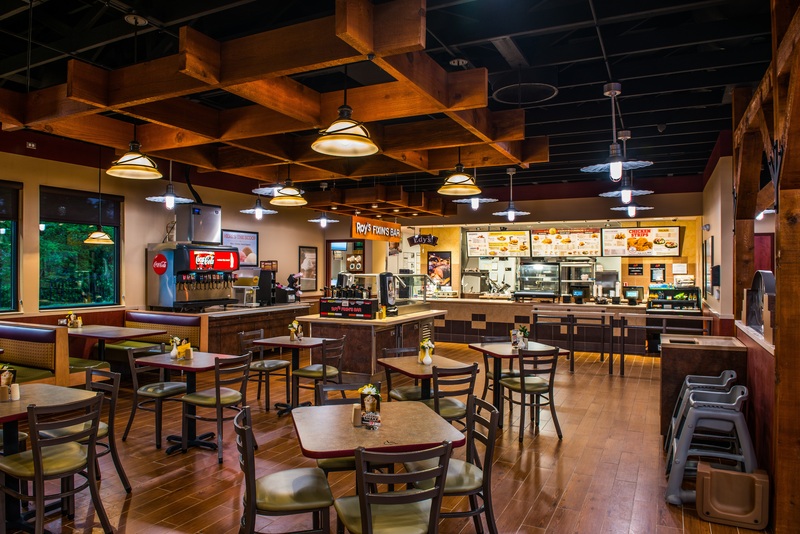 Rather, it’s a combination of many strategic, operational and promotional elements—all focused on the common goal of operational efficiency and total guest satisfaction that makes Roy Rogers so appealing as a restaurant and as a business opportunity. At Roy Rogers Restaurants, there’s something for everyone, as evidenced by the diversity of our guests. On any given day, Roy Rogers' widespread appeal will see executives stopping in for a delicious breakfast or business lunch, friends meeting for a midday meal, families with young children, or senior citizens enjoying an evening out. Roy Rogers Restaurants provide a wide variety of appealing, prepared-to-order foods with a quality and freshness that sets a new standard in the quick service segment. Since 1968, Roy Rogers has been offering the big three - hamburgers, chicken and roast beef. Our "Choose Any Side" option includes french fries, baked and mashed potatoes, fresh fruit cup, cole slaw, baked apples, tossed salad or baked beans. Our signature Fixin's Bar enables guests to dress their sandwiches the way they like them without the need for a special order. Our signature freshness is made possible through our unwillingness to compromise on ingredients or technique…a difference our guests notice. Roy Rogers wants its guests to feel right at home. The informal Western décor of our restaurants is just right for family and casual dining, and personal attention and cleanliness are paramount among the high standards we set for our managers and associates. Disclaimer: This information is not intended as an offer to sell, or the solicitation of an offer to buy, a franchise. It is for information purposes only. Currently, the following states and countries regulate the offer and sale of franchises: in the U.S.: California, Hawaii, Illinois, Indiana, Maryland, Michigan, Minnesota, New York, North Dakota, Oregon, Rhode Island, South Dakota, Virginia, Washington, and Wisconsin.